You are here: Home » Giving the iPhone a little personality! Giving the iPhone a little personality! I upgraded to the iPhone 4S from the 4 to purely mess with Siri. Other than a desperate need you may have to use Siri it’s not worth it in my view. The 4 is a perfectly good phone and I really loved it compared to the 3GS so my advice would be to hold out for the 5. Don’t get me wrong Siri is pretty damn amazing but it’s still very much a tech at the beginning of its capabilities. However once I got my hands on this new device I wanted to personalise it just a little bit with something other than a run of the mill cover as iPhones are everywhere. 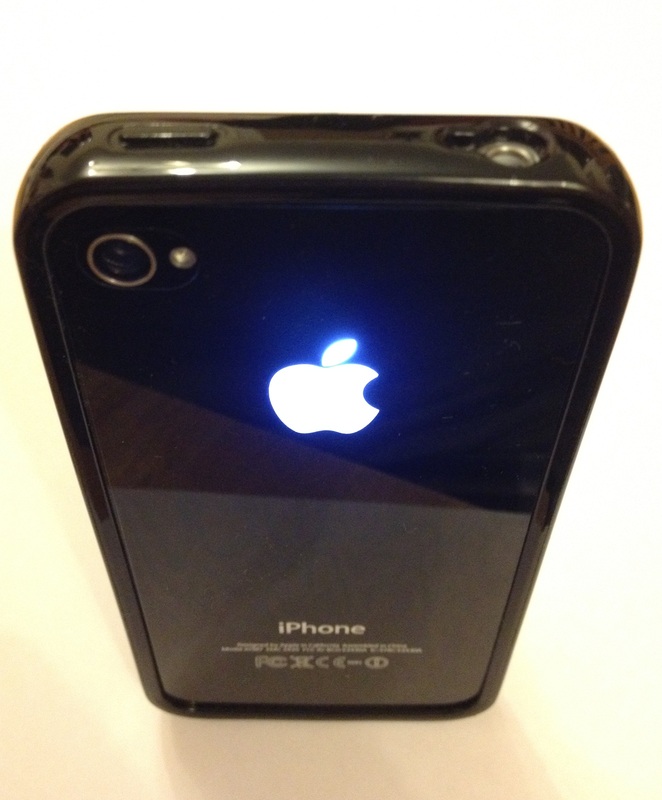 I decided to add the Apple light logo and change the rear cover on my white iPhone to black as with the black rear the light stands out a lot better. To finish it all off a black gloss bumper and some protective front and rear covers. So it’s not exactly high Diamond encrusted gold fashion but enough of a change to be mine. More money than sense I hear you say but the whole lot cost me about €60 euro so not too bad considering some of the nicer covers cost as much and more than that. 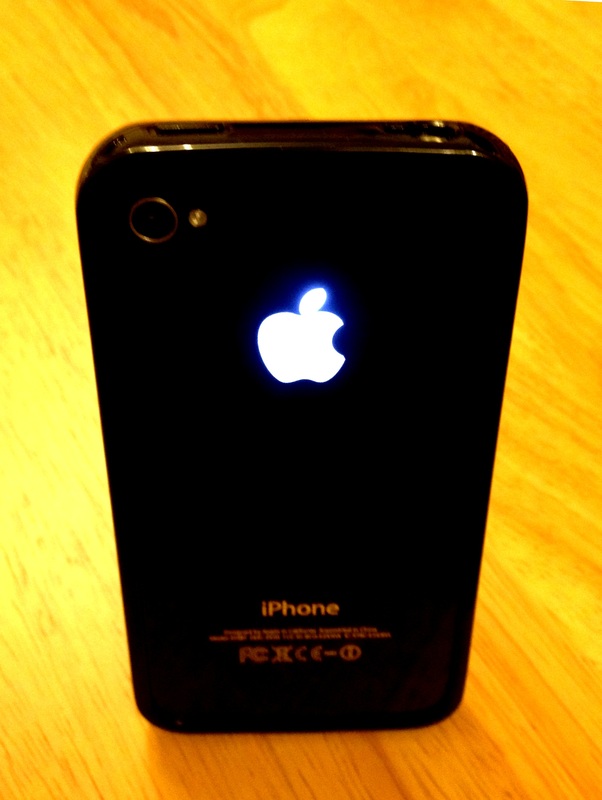 I love the Apple logo lighting up. I am surprised Apple don’t offer this as an optional extra as many that have seen it really like it. It doesn’t impact the battery too much that I have noticed although fitting it was a little bit more of a challenge than the website might have you believe but still worth it. ← Netflix comes to Ireland\UK but was it worth the wait?